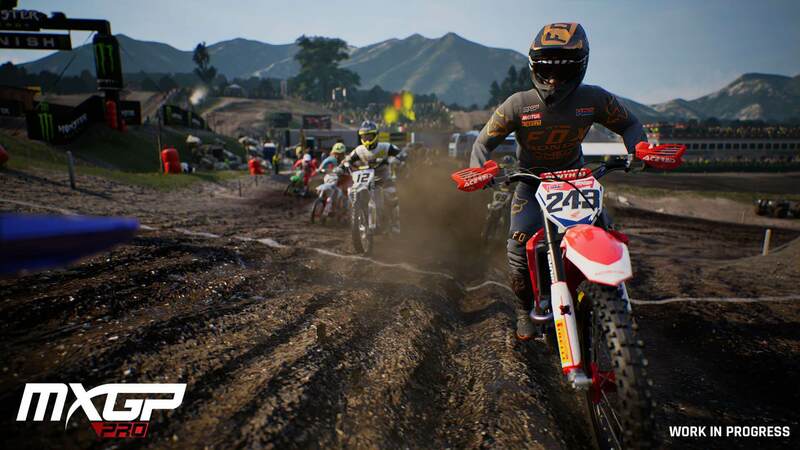 Again the official game of the motocross championship comes onto the market, how could it be otherwise, Milestone is responsible for the development. In this release, according to Milestone, the opinions of the players have been taken into account and have been involved in the development of official drivers such as Antonio Caroli, Tim Gasjer and Gautier Paulin. They leave aside the numbering and present the new title as MXGP PRO, which gives us a clue to the new facelift they have done in the saga. This is his second game launched with the new Unreal Engine 4 graphics engine, after launching the MotoGP 18 (you can see here our review). This time thanks to the Unreal Engine have made a new physics never seen before in the MXGP, as in Motogp 18 they play an important role in the game, having to control the pilot very well and his position, as in the jumps to avoid flying, use the scrub texan well not to be flying and pick up speed quickly, independent brakes and grip on the track, since the behavior of the bike is reactive to the layout of the track. Graphically despite using also Unreal Engine has gone better than the MotoGP 18, has a better finish and a better gradient of the terrain, in terms of lighting is also seen improvements and very amazing especially when it is night. The rivals, the AI, has also been renewed to have some rivals, more aggressive and more powerful bikes to be at your height, or beat you. From what you see Milestone is taking the trick to the Unreal Engine, but it seems that there is some detail that can not be completely polished, and it is the falls, when you fall it does not look very realistic and it looks more like an accident proof doll. As in the previous installments, everything revolves around the Trajectory Mode, with which we will have to build a reputation within the MotoCross Championship, having behind your own team and with a director in the form of an assistant who will inform us of our objectives, as it could not be otherwise, there are also certain sponsors to gain extra fame by fulfilling a series of extra objectives and a little more complicated. PRO Mode: The novelty and reason for the name change, have made the physical much more realistic than ever and is very close to simulation. Normal Mode: They have decided to keep the traditional mode which is much more arcade than the PRO mode. It must be said that the rewards are not the same in the 2 game modes. As far as the trajectory mode, we have the classic Time Attack, play Grand Prix individually or even create our own Championship by choosing the tracks we want from all of those offered, which are all the official ones with a total of 14 (the game has been made based on the championship of 2017, so there are no clues such as Redsand of Valencia). As for Multiplayer, they have not focused much and we only havemode Grand Prix and Championship. If they have included a novelty for the most novice, the Compound or Enclosure, a wooded area and free form we can train in this 1km / 2 enclosure, a good place to teach, practice and train hard to be the best. 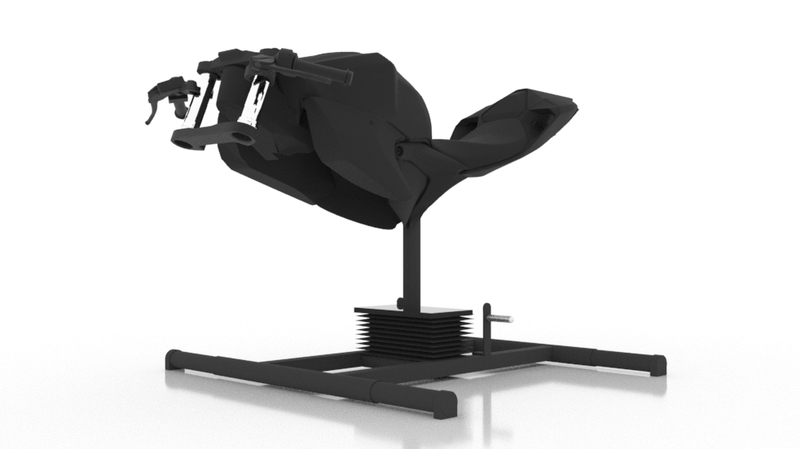 The possibilities of customization in terms of mechanics of motorcycles, is very wide, we can adjust among others, the power delivery curve, the response of the brakes, the suspension … all components belong real marks of the championship and according to Milestone these parameters they have been taken out of values ​​and measurements of reality. Other aspects that have improved is the vibration of the control that transmits information of the motorcycle, the sound of the motors and the controls. All this indicates that more than a game update, they have now released a version. It seems that this new game takes a step forward in what had been done so far and improves the experience. It remains to see what the community and the most experienced players of the genre think. This year Milestone will launch 3 new motorcycle games, after Motogp 18 and this MXGP PRO we expect the new RIDE 3, three totally different games. Do you want to join our community of developers?